We welcome back Solomon Wright who recently won the New Zealand 10km Open Water Championship. In this episode, Solomon talks about his training leading up to the National Championship and how he recovered from shoulder injury. We also added a before and after video of Solomon comparing his stroke now and 12 months ago. Intro: Welcome to the Effortless Swimming podcast, the show that helps swimmers and triathletes love the water, become a better swimmer, and live a better life. Here is your host, Brenton Ford. Brenton Ford: Welcome to the Effortless Swimming podcast. 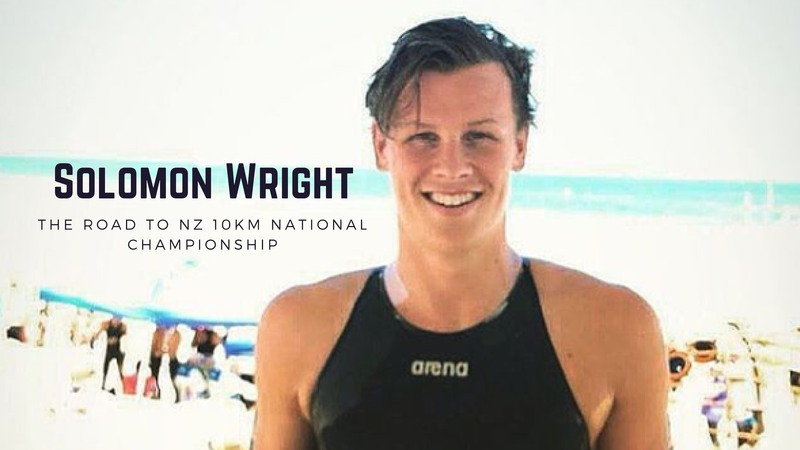 This is episode #128 with my guest Solomon Wright, who most recently became the New Zealand 10 kilometer open water champion. Solomon was on the podcast last year after he won the Rottnest Channel, and in the last 12 months he has put a lot of work into his strength, into his stroke, and also his fitness. Brenton Ford: We’ll talk more about that on the podcast, but there’s also a YouTube video that accompanies this podcast where we do a before and after of Solomon’s technique because, after the Rottnest Channel swim where he was having issues with his shoulders but he managed to come out and win that event in record time, but those injuries were still quite fresh to him. We have a look at what are some of the things in his stroke that he was doing that he wanted to change, and we also have the after video that was recorded just a couple of weeks ago. You’ll really see a significant difference in his catch, his alignment, his recovery, and a few other aspects of the stroke. 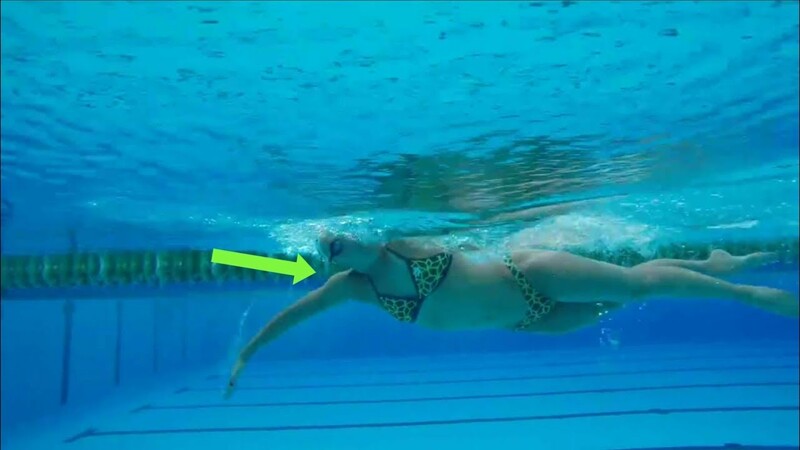 Head on over to the YouTube channel, which is the Effortless Swimming YouTube channel, take a look at that accompanying video. Brenton Ford: It’s quite interesting to see the progression and the development at that very top level. 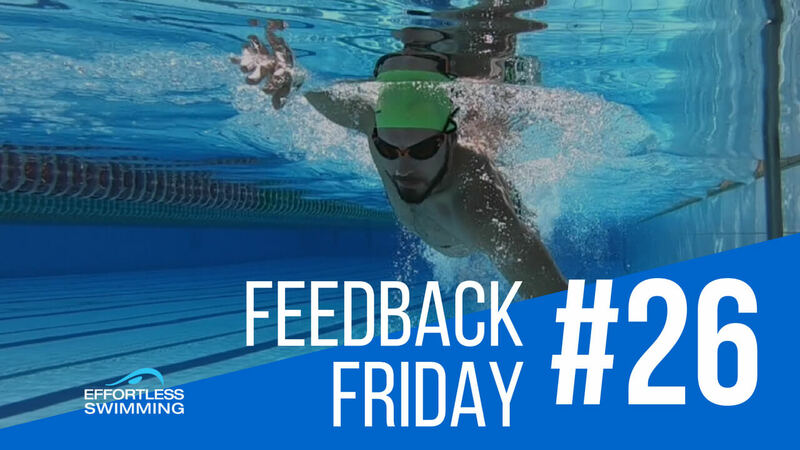 It’s obviously a lot less or a lot more minimal changes that we see with swimmers who don’t have that same level of experience behind them, but there’s still some significant changes that you do see there. It doesn’t matter what level you’re at, there’s always things that you can work on. Take a look at the video on YouTube. Brenton Ford: Let’s get into the podcast. This is Solomon Wright talking about what he’s changed, what he’s focused on in the last 12 months to get to such a good place in terms of much less injury, he’s a lot fitter than where he was, and what’s next for him. Let’s get into it. Brenton Ford: Solomon, welcome to the podcast. This is the second time I’ve had you on. The most recent thing you’ve done is you’ve just won the New Zealand 10K open water champ. Congratulations and welcome. Solomon Wright: Thank you so much. It’s really good to be back. I’m happy to chat with you. Thanks again for the weekend. I’m really, really excited and really happy with the result, and looking forward to the next year. Brenton Ford: We caught up after [Roddo 00:02:12]. We both completed at Roddo and you won in a new record time. Then, a couple weeks later, I came up to the Gold Coast and we did some filming because I thought it would be really good to see what your stroke looks like and see what we can take from that and teach to the swimmers that come along to our clinics and online. Then, again more recently, just a couple weeks ago, we did another sort of filming together up on the Gold Coast. There’s been quite a bit of stuff that you’ve been working on since the very first filming that we did, just post-Roddo. You were saying that your times had come down as a result of that and fitness and less injury and everything. Brenton Ford: I thought it’d be interesting to just talk about what are some of those things that you had focused on over the last 12 months, just in terms of the technical stuff of your stroke? Solomon Wright: Well, after Roddo last year, my shoulders were quite injured. I was dealing with a bit of injury going into Rottnest and then again coming out of it. That was my main focus. I’ve been working on my stroke from after the first time with you and looking at how my shoulder flexibility and my mobility and the strength of all of that rotation stuff, going through my stroke. I really analyzed that and then took that to my physio and to my coaches and really set out a plan to just get stronger so I could become faster in the water. That’s really worked over the last year. Solomon Wright: I’ve had a rocky year with my shoulders, up and down, as injuries tend to do, but the last six months has been solid. I’ve been slowly building that strength that I need and my times have come down accordingly, so pretty happy with the last year. Brenton Ford: What are some of those specific exercises and areas that you’ve been focusing on? Solomon Wright: Well, my catch has been … Was quite low off the first video. I’m sure you remember. It was quite low because I just didn’t have that strength or the flexibility to reach a little bit higher and grab more pulling through my strokes. I’ve worked on getting that higher, and then I’ve worked just through the basic physio exercises, the basic rotator cuff stuff and just basic gym rowing exercises to get that strength through my whole back and all around to support my shoulder in that pull through, so I’m pulling more water with more ease. Brenton Ford: It’s … I’m going to do a YouTube video on this, comparing … Well, looking at the differences and the changes over the last 12 months because there’s some sort of … It looks like there’s been some flow and effects from that extra strength and working that part of your catch, as well. It looked like it made a big difference with your alignment and your recovery and a bit to do with the rotation, as well. When all of that comes together, it seems like the other aspects that you may not necessarily be focusing on, they tend to improve as a result of that, too. Brenton Ford: It’s really quite evident. Yeah, winning the New Zealand 10K champs the other week is a really good result. You mentioned just before the call that that’s … Unlike the pool nationals, it’s not you win and you’re on the team. It’s a selection process. Brenton Ford: Can you talk a little bit about what’s the process now from here to go on and swim at a world cup or international competitions? Solomon Wright: I think from … I’m unsure, obviously. It’s all subject to selectors’ discretion, really. They have to decide based on funding and lots of other influencing factors who they send where and whether or not I will be allowed to go, but I think I will be allowed to go to a world cup next year and go back on the international circuit for some international race practice, really, and jump back on that circuit, which I’ll be really, really happy to do because that’s what I did back before my shoulder injury. I was at that level, so I’m really pleased to be back at that level. Solomon Wright: Then, I’m racing again next week at Australian championships for the second part of my selection onto world championships. Hopefully I do well next weekend, and then hopefully I’ll be off to world championships, but who knows? It’s all up to selectors. I’ll just do my best and see how that goes. Brenton Ford: When it comes to some of the training sessions that you’ve been doing, you sent through … You wrote down some of the workouts that you’ve done. Half of some of the main sets is a full session for most people so there’s some pretty massive sets that you’ve done. I think it would be good to talk through a couple of maybe the harder ones that you’ve done over the last couple of months because, when I read them, I thought, “Jesus Christ.” Next time I’m training for Rottnest or a really big swim, I’ve really got to up my game and up the distance that I’m doing in some of these sets because they’re pretty impressive. What were the one, two, or three workouts that you found were probably the most challenging? Solomon Wright: Well, actually, speaking of the hard workouts, over Christmas I went home to see my family back in Perth and spend time with my old coach back there, training there, keeping my fitness up. They did an open water camp and we were doing huge amount of Ks. We did, over the Christmas period, including Christmas Day and New Year’s and stuff, I think over the three weeks we did 210, 215 Ks, somewhere around that ranging. It’s 70-80K weeks and it just absolutely smashes you. You can break it up however you like, really, but just getting those Ks under your belt is just so essential for that later fitness, those long swims. I’m not doing 200 meters, I’m doing 10K. 10K a day shouldn’t really be too much of an issue. Brenton Ford: How many sessions were you breaking that across? 80K a week, what would that typically look like? How many sessions and how long would you be training for? Solomon Wright: Well, that varied because it was the holiday season and the pool opening and closing and that sort of stuff. Before the actual holiday season started, in early December I was doing the standard sort of morning and night sessions, so I was doing nine times a week. That was about it, really, just squeeze all the Ks into nine sessions. I wasn’t doing any gym because, again, my shoulders don’t … They’re not going to cope with all of those Ks and a gym, as well, so I was just doing recovery and swimming and that was about it. Solomon Wright: Then, during the holiday season, we decided to do longer mornings, some afternoons, but mostly mornings. It was just two-and-a-half, three hour mornings. Brenton Ford: Full on. Are there … Is it … What sort of pace are you swimming for most of those Ks? Is it kind of just below threshold or is it above that? Is there much speed work? What would it typically look like? Solomon Wright: Well, it’s sort of a building process. You don’t start off going flat out for 13Ks for a three hour session on your very first day. That comes later. You’re just sort of building slowly so sitting at short rest pace was sort of common. We just sort of kick over. There’s not really much resting. You don’t really do much resting. Maybe in a three hour session you’d, I don’t know, sit on the wall for maybe 10 minutes of that three hours in total. In a two hour session, you might sit for five minutes. Sometimes you don’t sit at all, sometimes you just do … A session will be 10K straight. Solomon Wright: You’ve got to treat it like a race and build up. You build your race, you do it fast at the start, fast at the finish. Whatever you decide to do, you treat it like however you want to race or whatever your race strategy will be for whatever distance you’re doing. It’s good to get in and do that distance straight away so, if you’re doing a 2K swim in the ocean and that’s your first swim, it’s good to just get in the pool and do a 2K like you would in the ocean so you can get that sort of experience under your belt, although it’s different conditions, it’s different scenarios. If you can do that in the pool, then it’s clear that you can do it in the ocean if all things go well. If things don’t go well, well, then adapt and just do your best, really. Brenton Ford: Mm-hmm (affirmative). I’m looking at some of the sets here. This one made me laugh. You’ve got a … I assume this probably isn’t the … There’s warm-up before this, as well, but the main set, it’s … You’ve got 10 100s on 1:15. Then, 30 seconds rest. Then, 8K build and then 1K max. That’s just [inaudible 00:10:19]. That’s your 10K set. Solomon Wright: No, there’s no warm-up before that. That’s a 10K race practice. Brenton Ford: Straight into it. Solomon Wright: Yeah, because in a race, at the start, you’re sort of … There’s no preamble before a race. You sort of … You got your race briefing. That takes 30 minutes. You’re not really warmed up. You’ve got to … You swing your arms and that’s about the best you get. Straight into it and then straight into a building process and then flash finish. Brenton Ford: All right. That’s … Yeah, that’s impressive. The other one I liked, as well, was … I tried this. I nearly made it one set through, short course. Brenton Ford: It was the 100 on 1:30, 200 on 2:30, 300 on three minutes 30, and then 400 on four minutes 30. Brenton Ford: It’s got “times four” next to it. Solomon Wright: Yeah. Yeah, it’s tough. Solomon Wright: It’s so fun. Brenton Ford: Oh, man. That was fast. Solomon Wright: Yeah. It’s sort of like 100 easy, and then it’s 200 of sort of tempo, 300 of fast, and then 400 at your race pace. Then, repeat. Brenton Ford: Yeah. That’s … I really like that set. It’s just … It’s kind of unrelenting. It just gets harder and harder and harder. Then, I guess you go back down, get a little bit more rest. Brenton Ford: It really sort of crescendos at the end there. [crosstalk 00:11:29]. I like that set. Brenton Ford: I don’t know if you’ve heard of a guy, Dave Goggins. He’s written this book recently. He used to be an ex-Navy SEAL and now he does a lot of ultra marathon running. Solomon Wright: Oh, yeah. Yeah. Brenton Ford: He’s just a really hard guy. He talks about … He did this 100K race and it was the first one that he did. He hadn’t trained for it, really, at all and he ended up just completely ruining himself. He was throwing up blood and everything. There was sort of no filter with the pain. He’d just go through it and he just wouldn’t think twice about it. Brenton Ford: It’s kind of … After hearing stuff like that, it’s good motivation to just … You can do it. It’s really … It’s so mental compered to physical. Obviously, the physical is important, but a lot of it is upstairs, what’s happening in your mind. Solomon Wright: Yeah, absolutely. Absolutely. I agree. Solomon Wright: Yeah, absolutely. Sometimes it’s just easy to go to training and just do what you’re told. Sometimes that’s all you can do, and that’s an achievement. Getting up at quarter to 5:00 or half past 4:00 or whenever you’re getting up and then just going and doing what you’re told and getting through the sets, sometimes that’s it. Sometimes you can really push it because you’re feeling great and you’ve had a double shot coffee or whatever before training and you’re really ready to go so you push it extra hard and you get fitter and stuff, but sometimes just turning up is better than not turning up at all. Brenton Ford: Yeah, absolutely. Yeah. I remember going through that. Even last year, training for Roddo, there’s sessions where you feel great and there’s sessions where you feel like you’ve just made no gain because your shoulders are sore and can’t get going. Solomon Wright: Yeah, [crosstalk 00:13:33]. Brenton Ford: Yeah, it’s the key to making it work. Brenton Ford: In terms of race strategy for the New Zealand swim, how did it play out for you. Was it what you expected or is there anything that needed to change midway through? Solomon Wright: Not really. I sort of was … I was sort of ready to adapt because I’ve done that huge block over Christmas. I was pretty aerobically fit at the moment and whether or not it’s … The main limiting factor was whether or not I was strong enough and whether or not I had the speed. Those were the two limiting factors. I knew I had the fitness so … Yeah, it was just … I was just looking at other people and seeing how they go. I think I was sitting in third position, just cruising and ticking my arms over, basically, for the first three laps, just making sure I was keeping in contact with everyone and making sure we weren’t going too slow, or bridging the gap if someone decided to go, which happened once or twice, just making sure I was there and just going around the course. Solomon Wright: New Zealand was quite … It was quite a cold course. It was 20 degrees, which is warm enough to not wear a wetsuit but cold enough to feel the cold. I was just trying to keep my shoulders mobile. Then, with a lap to go, I moved up into first and started pushing the pace a bit. One other boy went with me and then … Again, I wasn’t really aerobically challenged, I was just starting to get a bit sore. Then, I just decided with a kilometer to go that just, “All right, well, let’s try and win this. I’m sitting in first now, I may as well just push it and make sure it’s not a sprint finish,” because, as I said, I know I’m fit, it’s just whether or not I have the speed, and I wasn’t prepared to leave it to a last 100 meter finish or last 200 meter sprint finish with whoever because, in those scenarios, it’s really just who is the freshest. Solomon Wright: I wasn’t prepared to do that so I took off with a kilometer to go. I just put 30 seconds on the guy who came second and that was it. That was it. That was my race, really. It was really very basic. I was just really responsive and aware of my own energy levels and aware of my own strength and I really just backed myself to have the fitness to be able to stay with everybody and not have to push the pace and just have enough strength and enough speed just to take off. Then, hold them off towards the line. That was sort of it. That was my race strategy. Brenton Ford: It sounds like you had a lot of confidence going into it, especially having such a good build-up to the race. Your shoulders had been a lot better than what they were 12 months ago. Is that the feeling that you took into it? Solomon Wright: Not really. Well, yes and no. Yes because I, as you said, I did that huge block of training, but no because I’ve … That was my first big 10K open water swim on these shoulders. I haven’t done any long, long 10Ks. Obviously, I’ve done them in training, but in race scenario with a big suit on, it’s obviously a little bit different. I was a little bit untested with my shoulders and I was wary of whether or not they would hold up. Given the cold, everything sort of freezes up and all your blood goes into your torso, and your shoulders and your arms and your toes, there’s no blood in those. I was really wary of that. I’ve learned to [inaudible 00:16:38]. I think [inaudible 00:16:40] my suit was a little bit too tight so I’m going to be wearing a looser suit for my upcoming races because I just don’t think the circulation was there. Solomon Wright: Yeah, I was really confident in my abilities in the last 5K, it was just getting to that 5K. As I said, I was feeling really fit but I wasn’t feeling very fast and I didn’t really have that speed because I’d just come off a huge block of training. All I did was get to 5K and then I backed myself from there. Brenton Ford: Yeah. That’s interesting. It’s really … It’s race confidence, isn’t it? Just being … Having the recent races like … Every year in January, I normally race this three day meet here … Not here, around Melbourne. Day one, I’m normally … There’s … I’ve got cobwebs that I need to shake off and swim okay. Then, day two, starting to get better. Brenton Ford: Then, by day three, it’s like I’ve figured out how to race again, or I’ve remembered how to race. It’s just … Just needed to do more of that than … Yeah, as long as you got the fitness there. Brenton Ford: It’s good that you had that as a training run before next week, which is Australian champs. Brenton Ford: You’re saying that it’s quite a deep field this year. Solomon Wright: Yeah, it is. It is. It’s huge. Anyone might be a 15. [inaudible 00:17:53] if you get in the top four for that selection position, so it really could be anyone. It’s going to be anyone’s game. Brenton Ford: Has it ever been this stacked or is it sort of something that’s caused so many swimmers to be focused on this year, or there’s just a lot more swimmer who are at that very top level here? Solomon Wright: Well, yeah, that’s been the state of Australian open water swimming, really. It’s sort of been a few really, really good juniors, maybe three or four years ago, and that’s been sort of building. Now it’s sort of hitting the crescendo where there’s 18-, 19-, 20-year-olds who are ready and raring to go. It’s sort of … That’s just it. Open water is a growing sport. It only got added to the Olympics in 2008 so it’s had three or four Olympic cycles now. It’s just growing and it continues to grow. I think it’s the fastest growing sport in the world at the moment. Brenton Ford: Yeah, that’s awesome. You definitely see it around what the open water swims over summer. There’s just so many swims and there’s so many people there, which is awesome. Brenton Ford: It’s just such a great sport, isn’t it? I love swimming in the ocean. I did my first open water race for the season last week and there’s 5,000 people who enter the [Peter Pub 00:19:05] and do this swim. Brenton Ford: It’s just … It’s not worth your time. It’ only 1.2K. It’s too short for you, but, yeah, it’s just such an awesome time. Brenton Ford: It’s great to see that open water swimming has just had such a big increase in popularity over the last few years, and we’ve certainly seen it … I’ve probably seen it really start to come into a lot of clubs, as well. Normally, the clubs are mostly focused on the pool competitions only. Now there’s definitely a lot more movement towards some open water clubs or there’s different squads for those guys. You train with quite a few good open water swimmers up on the Gold Coast, don’t you? Solomon Wright: Yeah. Yeah, I do. Brenton Ford: So you’ve got … Yeah. There’s quite a few there. Then, what club do you train with over in Perth? Solomon Wright: I train with Perth City. Brenton Ford: They’ve got quite a … Their focus is mostly open water, as well? Solomon Wright: Yeah, yeah. They’ve got an even bigger squad than here on the Gold Coast. Their squad is huge. It’s really good. Brenton Ford: Yeah. No, that’s awesome. Solomon Wright: Yeah, I am. Brenton Ford: Back around. Is that … You’ll … Let’s say you make the New Zealand team. You’ll still do Rottnest? Solomon Wright: I hope so. I hope so. If New Zealand turn around and say, “We’re sending you on a plane for this race at this date,” and it coincides with Roddo, then obviously I’ll have to put the international race first, but, other than that, I will be doing Roddo again, yeah. Brenton Ford: Yeah. That’s exciting. Well, good luck for it. It’s been awesome to see you [inaudible 00:20:40] become New Zealand champion and the progression over the last 12 months now that your shoulder are good. Yeah. Solomon Wright: Yeah, that’s nice. Brenton Ford: It’s really exciting to see where you’re going. Good luck for it. I appreciate you coming back on the podcast. Outro: Thanks for listening to the Effortless Swimming podcast. If you’d like us to help you become a faster, more efficient swimmer, go to www.effortlessswimming.com. Next: What’s The First Thing You Should Fix?